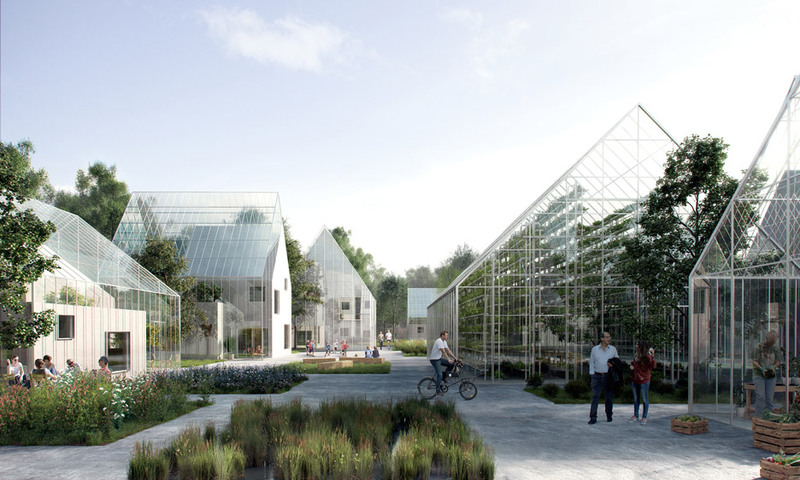 Venice Architecture Biennale 2016: Danish studio EFFEKT has designed a self-sustaining, off-grid village of greenhouse properties, which it will present inside the Danish Pavilion during the Venice Biennale. 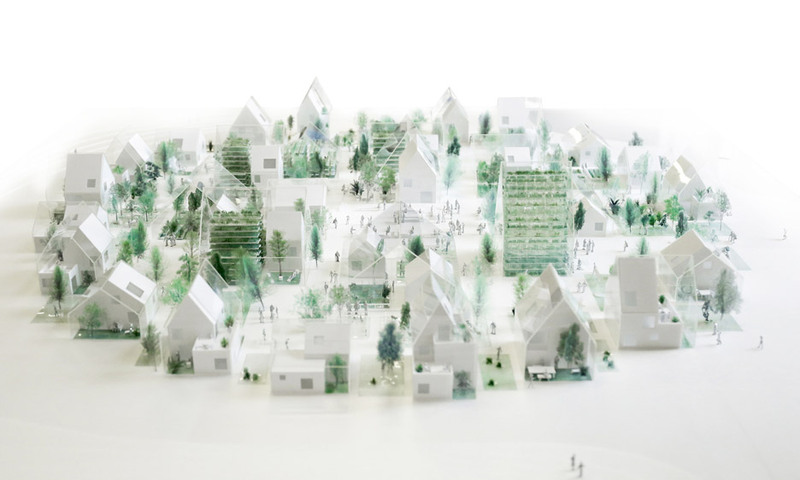 Called ReGen Villages, the project imagines a community of buildings that produce all their own food and energy – a model that aims to tackle a wide spectrum of global issues, from the food and water crises to the rise of CO2 emissions. 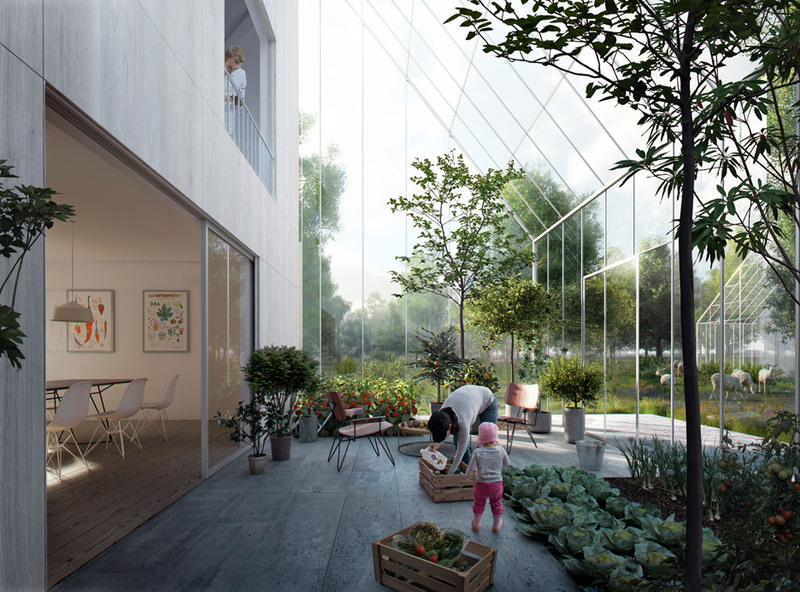 Each village would comprise a series of buildings with attached greenhouses, creating spaces where families can grow fruit and vegetables, farm aquaponics or recycle waste products. They would also integrate sustainable energy technologies, producing all their own electricity. "Our modern lifestyle is utterly unsustainable and this calls for more resilient solutions for the future," explained EFFEKT partner Sinus Lynge. "The technology already exists, it is just a matter of applying science into the architecture of everyday life." The project was born out of a research paper at Stanford University. One of its authors, entrepreneur James Ehrlich, further developed the idea to launch a tech-integrated real estate development company, and brought in EFFEKT to imagine what its buildings might look like.